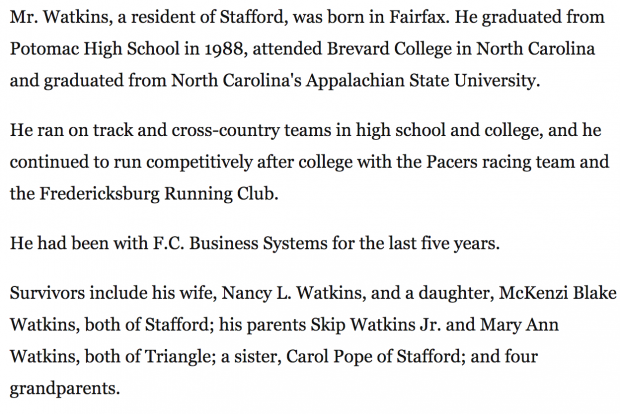 A soccer player who just started running competitively in high school as a junior this past year at Stafford Colonial Forge High, Watkins not only was competing in the race but vying for first place with other top race seeds like Lindsay Yentz of Patriot and Laura Webb of Woodbridge. Ultimately, the event would mean more to McKenzi than any major championship race at season's end. McKenzi's father was a semi-pro local runner sponsored by New Balance and Pacers Running store in the 1990s. 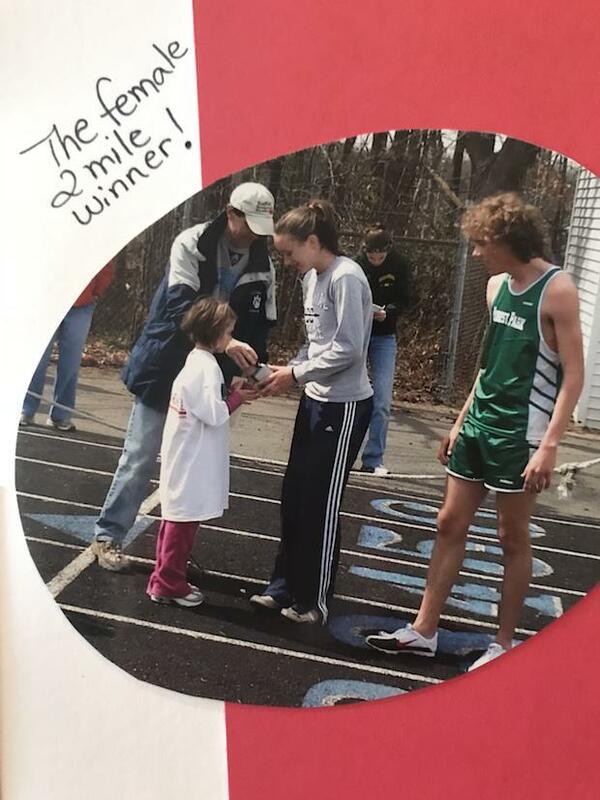 The running talent McKenzi inherited from her dad was on display at a young age, as shown by running a quick time in a road race as a sixth grader. However, her interests and participation in other sports --especially soccer -- kept her away from the sport that her dad loved so much at Potomac Senior High, Brevard Junior College, Appalachian State University and as an adult competing in the local road racing scene. Brian died at age 30, in the fall of 2000. He died only four weeks after McKenzi was born. He was out doing what he loved doing -- outside of running -- every Sunday since he was a kid, riding his ATV and 4-wheel in his hometown of Dumfries, Virginia. Unfortunately that Sunday, another ATV crashed with his vehicle and the accident took his life. While McKenzi obviously has no memories of her own with her father, Bill Stearns has done his part to make sure she's always remembered her dad every March. Stearns was the long-time track coach and eventual athletic director at Potomac Senior, prior to a brief retirement and before being coaxed back into coaching at recently opened Colgan High School. 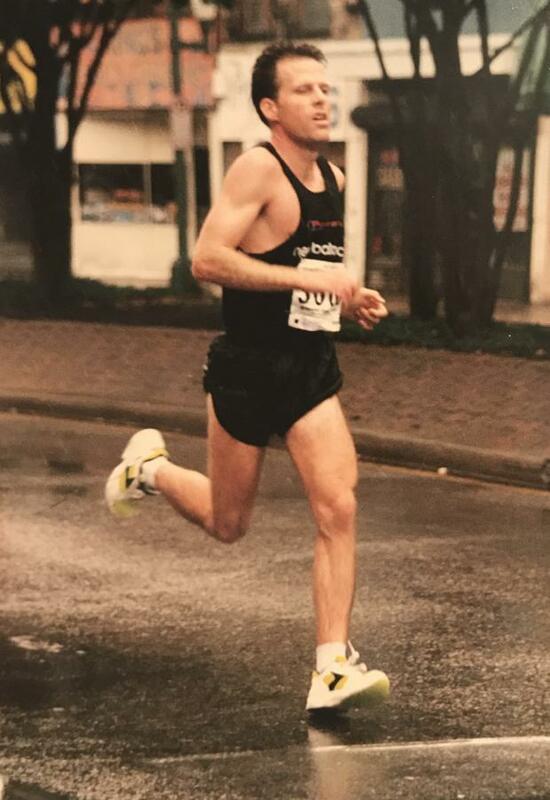 Stearns and his wife had friended Brian and his wife Nancy in the 1990s as the runner had come back to the area after college. 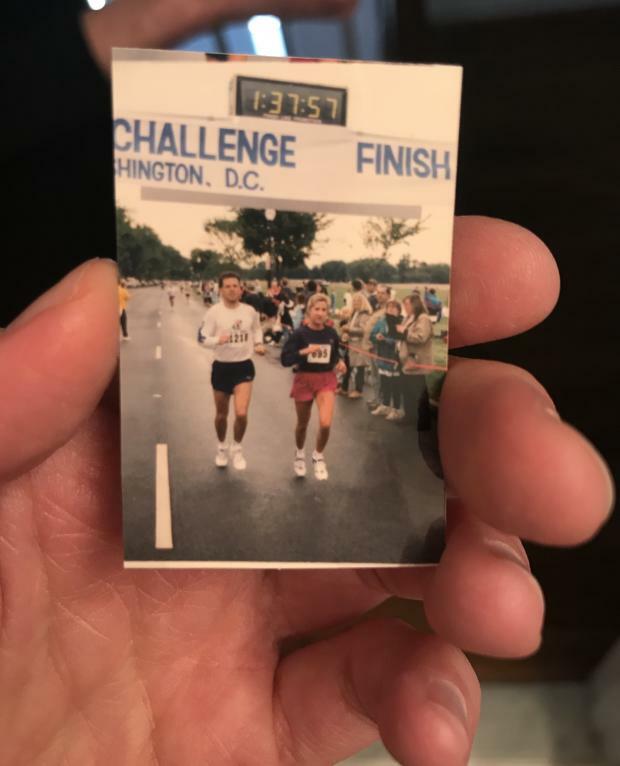 Brian ran for Potomac in the late 1980s prior to Stearns' arrival at the high school in 1990, but the two struck up a friendship with Stearns heading up the high school program which Brian had run for. Stearns actually gave the eulogy at Brian's funeral. Stearns had already been hosting an outdoor track invitational at Potomac Senior, appropriately named the I-95 Invitational, given the school's close proximity to the major highway. Following Brian's tragic death in 2000, though, Stearns decided to rename the meet in the following spring to The Brian Watkins Invitational. The track community has gotten to watch McKenzi grow up over the years as she has annually presented the 3200 meter race winners at the Brian Watkins Invite with a customized watch. Another special honoring of Brian's life, the 3200m race winners have been given a custom watch, with Brian's family presenting the awards every year. And on hand every year has been McKenzi. The quilt blanket of prior Brian Watkins Invitational meet t-shirts made by Coach Stearns for McKenzie. 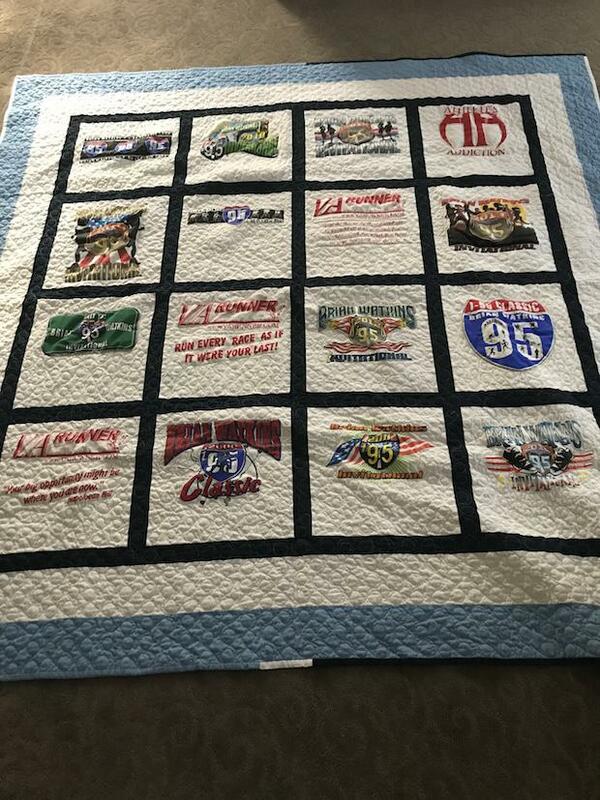 Last year, Stearns presented McKenzi with a quilted blanket of the meet T-shirts from the first 16 years of the invitational. And next year, when McKenzie graduates high school, he intends on giving her a box of letters -- words from every 3200 meter race winner since it became the Brian Watkins Invitational, on why they love to run. Every March, McKenzi had watched with a heavy heart runners circling around the track, a routine her father loved to accomplish throughout his lifetime. But something changed at last year's event. Stearns received the best surprise he could have asked for from the rising junior. "I think I might want to run."